Look, we get it. Your truck is your livelihood, and its health directly affects whether or not you can pay your bills. That’s why you may be nervous about getting only the best parts for any repairs it needs. At HHP, those parts are our livelihood. The parts we sell - their quality and their reputation - directly affect whether or not we can pay our bills. That’s why we make sure our aftermarket parts are of a good enough quality to exceed the high standards you have for your vehicle. Every part we sell will serve your engine just as well as OEM parts, but we’ll sell them to you at a fraction of the cost. Our oil pumps are no exception. From the get-go, our oil pumps are set up to succeed. Before the actual manufacturing begins, time and care is taken to select the best materials for the oil pumps to be made with. The skilled technicians examine the materials to be used, and only utilize the material that meets or exceeds specifications given by the original manufacturer. After material is selected, the process of making the pump begins. Our manufacturers use top-of-the-line equipment to manufacture to the precise specs required of your parts. All mounting surface are CNC machined for proper fit, while quality bearings are designed to meet the radial torque and axial load requirements of your engine. Plus, if the pumps come with the gaskets, seals, or shims necessary for installation, those additional parts are constructed with just as much care and precision. 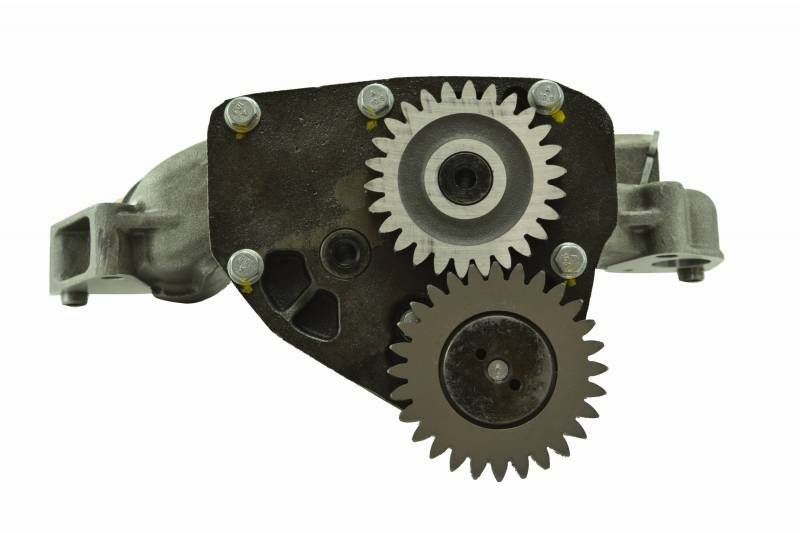 After being manufactured, our oil pumps are tested to be sure they function correctly, and will continue to do so when installed in your engine. When tested, trained technicians in the good ol’ United States examine them for accuracy, reliability, and workmanship. Ever heard of ISO? It’s the International Organization for Standardization, and they have some pretty strict rules for getting an ISO certification. The gist is that any company that wants an ISO certification must meet a set of standards for quality and consistency. The manufacturing facilities for our oil pumps all meet ISO 9001:2015 or ISO 9001:2008 requirements. That means we have world class quality management systems to ensure every single oil pump we ship out was made the right way. All of our oil pumps have warranties that come straight from the manufacturer. The warranties range from one to two year coverage. Nothing less. The OEM’s tend to have a standard six to twelve month warranty, less than half what we can offer. That’s because we are so confident in our manufacturing process and quality control that we’re willing to put our money behind it, and make sure you and your vehicle are always road-ready. Highway and Heavy Parts is fully committed to the success of our customers. If you have any outstanding questions about our oil pumps, or general questions you need answered, please give us a call at (844) 215-3406 or request a quote online.